Each business or call center always seeks for the same thing and that is the highest possible customer satisfaction ratio. The call center solution provides many interesting metrics to achieve this goal, but the thing is one need to know how to use these metrics offered by the call center software. 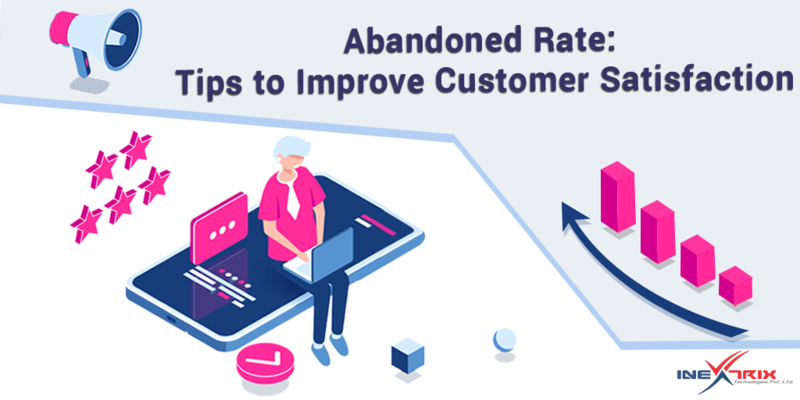 Today, in this article, we will talk about as such important metric, namely, Abandoned Rate and how you can use it to increase customer satisfaction. It is a popular metric which can be used to define the effectiveness of your customer service. The abandoned rate in the call center is a ratio of the calls which were hung up before connecting with a live agent to get the answer of their query. How to find the abandoned rate? The abandoned rate can have the calls which were hung-up because the caller got an answer with your self-serving system in the call center solution such as, Interactive Voice Response (IVR) solution. Thus, it is important to identify the number of calls which were hung up before getting the answer. This can be done by separating the short calls from the abandoned calls. As you get to know the real data in the call center solution which indicates which phone calls were abandoned, then you can run further filters to identify issues. You need to see what the reasons are behind the increasing number of abandoned calls. The reasons behind the increasing call abandoned rate can differ from campaign to campaign. By looking at the metrics in the call center solutions such as, call queue length, call hold time, number of agents, IVR menu, etc., one can identify what are the issues behind this increasing call abandoned rate. As soon as you identify the problem area, this is the time to take action. For example, if long call queue is an issue, then the solution is hiring more agents and increasing parallel call capacity of the call center solution so more calls can be handled and call queue can be reduced. This will reduce call abandoned rate. Once you take an action to reduce the call abandoned rate, keep eyes on the metrics. Also, keep checking the abandoned rate, customer feedback, etc. All this information will help in assuring the taken actions are working in your favor. At the same time, you can find more improvement areas and repeating the process can help in reducing the abandoned call rate and improving customer satisfaction. Looking for a reliable call center solution? Contact us NOW!